May 12, 2016 (LBO) – Colombo suburban railway electrification project phase one which initially focuses on 64 kilometers along Veyangoda – Panadura section will cost 300 million US dollars to implement. Energy consultant Dr. Tilak Siyambalapitiya speaking at a seminar said the project will support the modernization of the railway network in the Western Province of Sri Lanka. “The government has been pledged a soft loan by the ADB. Phase two of the project will also cost another 300 million US dollars,” Siyambalapitiya said. The Asian Development Bank last year approved one million US dollars for the technical assistance of the project and it is yet to approve 300 million US dollars loan. The project will improve the capacity and operating speed of the railway network in the Colombo Metropolitan Region by modernizing and upgrading track, signaling infrastructure; and potentially electrifying the suburban railway lines. The average speed on the Main Line is currently around 33 kilometers per hour (kph) while the speed on the coastal line is around 28 kph. 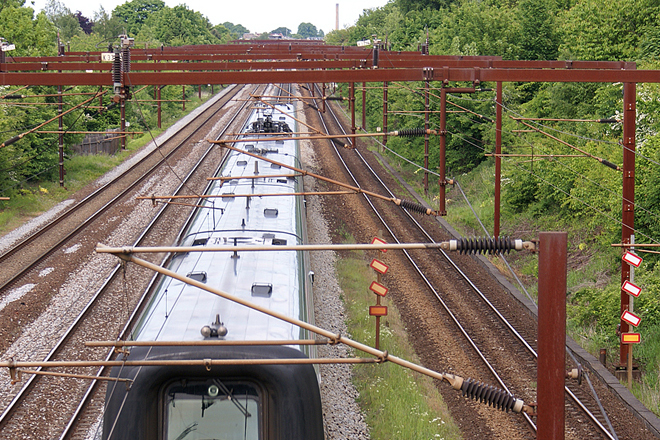 Under the new project, tracks will be improved to allow 100 km per hour, and will be fenced to avoid accidents. On average over 110,000 passengers per direction enter the Colombo city by rail during a normal working day, which translates into around 13 percent of all passenger movements. Since electric power sets are more energy efficient, the net fuel saving will be about 40 rupees per train km, Siyambalapitiya said. He said under the project stations will be refurbished with modern architectural designs and E-ticketing will be introduced.